Predicts survival of CML based on clinical and lab information. Use to predict prognosis at the time of CML diagnosis, before starting treatment. In the US, the Sokal Score can be used to determine risk and decide on therapy based on the NCCN guidelines for CML. While the EUTOS score is easier to calculate and more accurately identifies high risk patients in the era of tyrosine kinase inhibitors, it has not been adopted by the NCCN guidelines. The Sokal Index, also referred to as the Sokal Score, was developed using patients treated in the pre-tyrosine kinase inhibitor era and thus can not necessarily be applied today. Survival outcomes have drastically improved since then. Although scores are stratified into low, intermediate, and high risk, some studies have shown that low and intermediate risk have similar outcomes. Some advocate combining the Sokal and EUTOS Scores for better predictive value. NCCN guidelines for CML treatment recommend use of the Sokal and Hasford Scores over EUTOS for clinical risk stratification. The Sokal Score is also preferentially used in clinical trials so that comparisons can be made to prior trials. Whether the patient meets milestones for cytogenetic and molecular response is more predictive of outcome once therapy is started. Although the Sokal Score has limited usefulness outside of clinical trials today, in general, low and intermediate risk patients can be started on standard dose imatinib, and high risk patients should be considered for newer generation TKIs or be monitored more closely to ensure complete molecular response. Can only be applied in a newly-diagnosed patient prior to starting therapy. The original derivation study included 813 European and American patients treated before imatinib was available. The validation study was done during the era of interferon treatment and showed that, even then, the Sokal Score was no longer predictive, and the Hasford Score was a better predictor of survival. Outcomes have significantly improved after the use of imatinib and led to the development of a new score called the EUTOS Score. There are two major studies (Uz 2013, Yahng 2012) suggesting the EUTOS Score outperforms the Sokal Score and one study (Marin 2011) showing the converse. Sokal JE, Cox EB, Baccarani M, Tura S, Gomez GA, Robertson JE et al. Prognostic discrimination in “good-risk” chronic granulocytic leukemia. Blood 1984; 63: 789-99. Thomas M, Irving J, Lennard A, Proctor S, Taylor P. Validation of the Hasford score in a demographic study in chronic granulocytic leukaemia. Journal of Clinical Pathology. 2001;54(6):491-493. doi:10.1136/jcp.54.6.491. Uz B, Buyukasik Y, Atay H, et al. EUTOS CML prognostic scoring system predicts ELN-based 'event-free survival' better than Euro/Hasford and Sokal systems in CML patients receiving front-line imatinib mesylate. Hematology. 2013;18(5):247-52. Yahng SA, Jang EJ, Choi SY, et al. Comparison of Sokal, Hasford and EUTOS scores in terms of long-term treatment outcome according to the risks in each prognostic model: a single center data analyzed in 255 early chronic phase chronic myeloid leukemia patients treated with frontline imatinib mesylate. Blood 2012;120:Abstract 2794. Marin D, Ibrahim AR, Goldman JM. European Treatment and Outcome Study (EUTOS) score for chronic myeloid leukemia still requires more confirmation. J Clin Oncol 2011;29:3944–5. Yamamoto E, Fujisawa S, Hagihara M, et al. European Treatment and Outcome Study score does not predict imatinib treatment response and outcome in chronic myeloid leukemia patients. Cancer Sci. 2014;105(1):105-9. Pfirrmann M, Baccarani M, Saussele S, et al. Prognosis of long-term survival considering disease-specific death in patients with chronic myeloid leukemia. Leukemia. 2016;30(1):48-56. 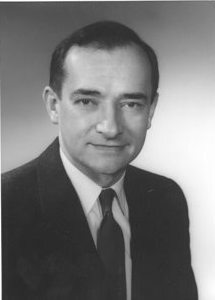 Joseph E. Sokal, MD, (d. 1988) was a researcher in cancer treatment and a scholar in residence at Duke University. Previously, he was chief cancer research clinician at Roswell Park Memorial Institute in Buffalo and an assistant professor at Yale University.